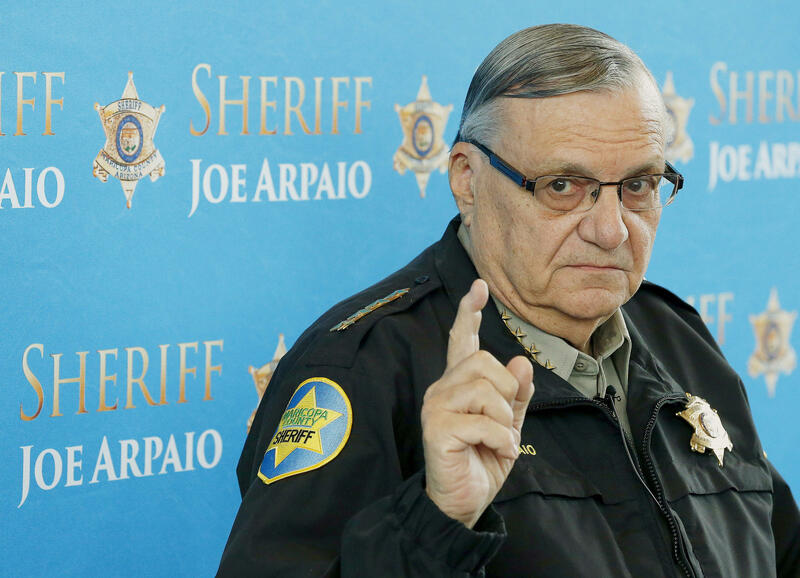 PHOENIX -- The political defiance that made Joe Arpaio popular and seemingly untouchable as metro Phoenix's sheriff of 24 years ultimately led to his downfall Monday as he was convicted of a crime for ignoring a U.S. court order to stop traffic patrols that targeted immigrants. The verdict marked a final rebuke for a politician who once drew strong support from such crackdowns but was booted from office last year as voters got frustrated with his deepening legal troubles and headline-grabbing tactics, such as jailing inmates in tents during triple-degree summer heat and making them wear pink underwear. The efforts are similar to local immigration enforcement that President Trump has advocated. To build his highly touted deportation force, Mr. Trump is reviving a long-standing program that deputizes local officers to enforce federal immigration law. He was ousted in the same election that sent Mr. Trump to the White House. Trump used some of the same immigration rhetoric that helped make Arpaio a national figure in the debate over the U.S.-Mexico border.